We created an open board: "Koinup. Top of the Top" on our Pinterest channel and we're calling to action all the Koinuppers in order to contribute to it. The rule is basically to pin to this board your own - only made by you - most amazing artwork and/or picture, posted on Koinup. Only one content per member. Your top of the top. 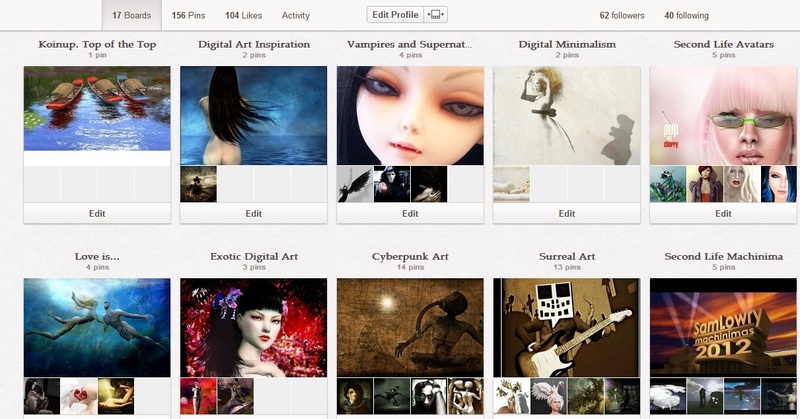 If you're already on Pinterest, you can do it by yourself, by pinning to the board. In order to be added to contributors, leave a comment here with your Pinterest name and we will add promtly to the list of contributors. Then pin your own personal selection. SilkyVv can you please tell me your Pinterest name? that's fine wise, just sent you the invitation! I thought it was one image per user only or did I miss something?